Last week we broke the news that the site was going on hiatus but we did promise that each year we will continue to roll out year end lists. So it begins.....the rollout of various music lists from us as we look back at the year that was and present our picks for the most recognizable albums of the year. It has become a Thanksgiving weekend tradition for us to issue our first year end list -- Honorable Mentions. This is the first of three lists we will bring out over the next three weeks, next week we will present our coveted League of Their Own and then finally, the Top 10 albums of the year. Here we go -- our Honorable Mentions, albums that were very good, but not good enough to crack the Top 10 but still worth of note. As we always do, we breakdown the list in short form and then with explanations. 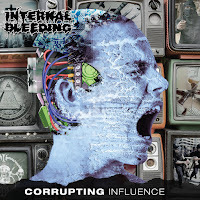 - Internal Bleeding "Corrupting Influence"
- Albert Hammond Jr. "Francis Trouble"
- Blu & Nottz "Gods in Spirit, Titans in the Flesh"
- The Good, The Bad, and The Queen "Merrie Land"
Nas fell into the Kanye West production hole that many artists did this year and while some of the releases were hit or miss, the Queens emcee came out with his follow-up to 2012's instant classic, "Life is Good," and handed a solid album to fans. 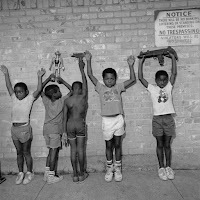 While critics were mixed on some of the messages Nas was saying about vaccinations and failing to address allegations set forth by his ex-wife, the rapper lyrically may have played it safe on some songs but on others like "Not for Radio," "Cop Shot the Kid," and "Bonjour," the legendary rapper flexed over vicious West beats. 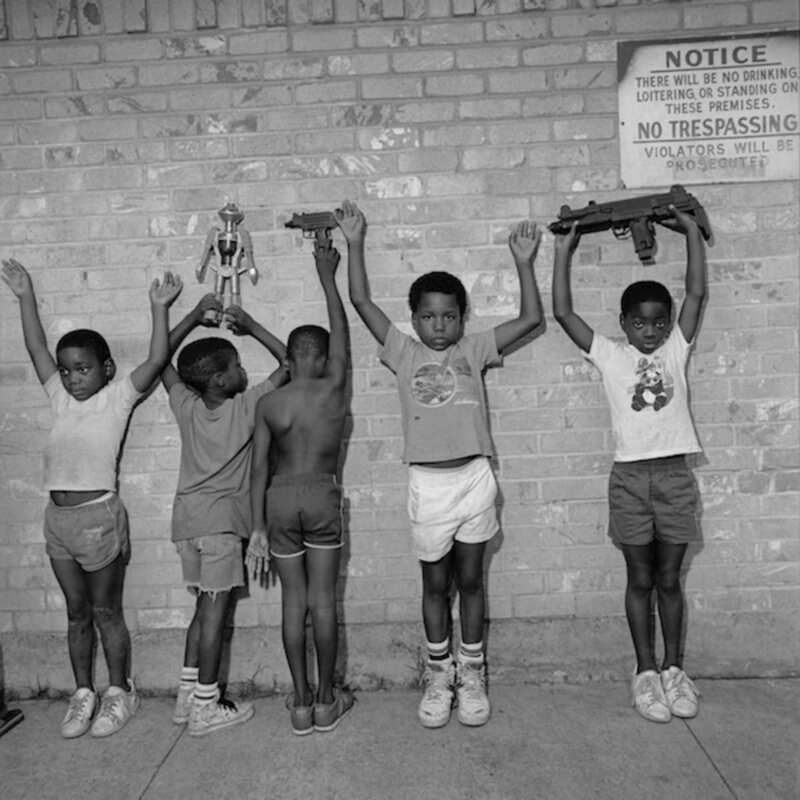 It was a grand combination that yes, could have been grander, however, with another album allegedly in the can by Nas, "Nasir" was a taste of what seems to be coming. 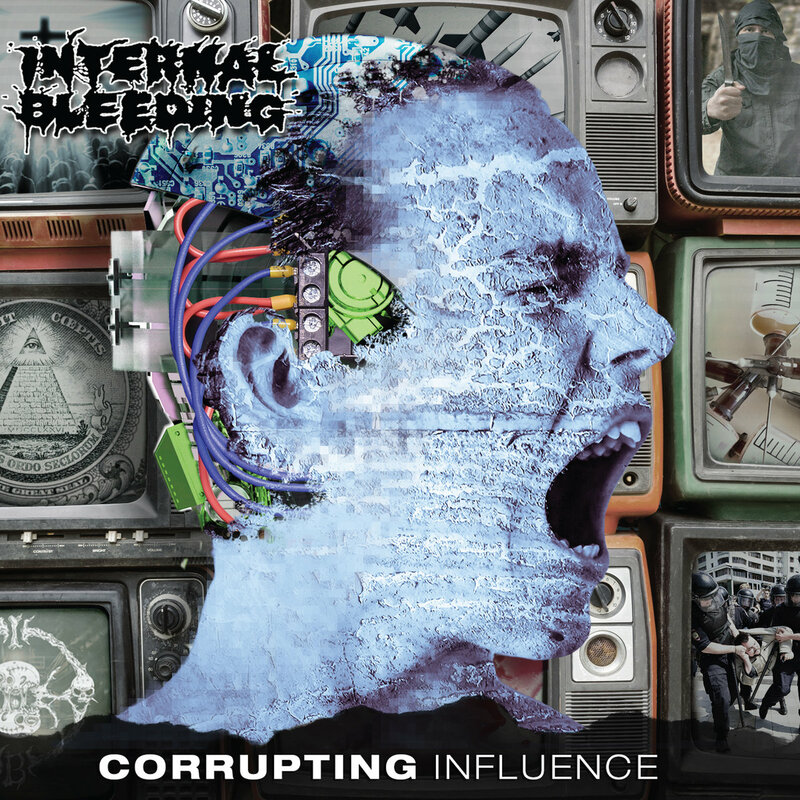 Internal Bleeding - "Corrupting Influence"
The Long Island slam-core icons returned with not only the most brutal and intense release of 2018 but their greatest album to date. Following the death of long time drummer Billy Tolley, the band could have called it quits or could have rested on their laurels but instead they channeled the spirit of their fallen brother and crafted a record that is not only shaking up heaven but one that also frightens the devil himself. "Corrupting Influence" not only pays homage to Tolley is also hits on the society we live in today thanks to themes of selfishness, loneliness, and always looking for something more. Editors have been on a rocky path for 8 years thanks to various line-up changes, alterations in sound and style, but also trying to figure out their place in music after the hype around them settled. After 8 years, they not only threw their own rule book out the window the finally sound like a band who are comfortable with who they are and what they have become. 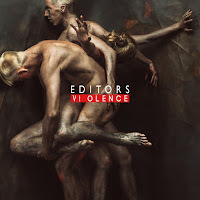 "Violence" is the British band's best album since "In This Light and On This Evening" and the gap between the two records were clearly growing pains to get to where they wanted to be and for fans, it was well worth the wait. 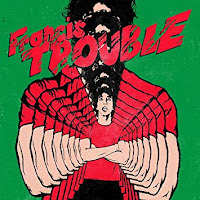 Albert Hammond Jr. - "Francis Trouble"
Albert Hammond Jr. has been releasing quality solo records since 2006. While he has always lived in the shadow of being the guitarist of The Strokes, after 12 years he finally sounds comfortable with not just that title but being a solo artist as the band continues to be on hiatus. 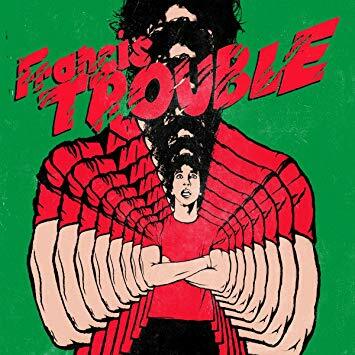 "Francis Trouble" is a deeply personal and tragic record about his family in which he tells the story about finding out later on in life that he was supposed to be a twin but his brother died in the womb. The child was to be named Francis, whom Albert paid tribute to in title and song. The album, which dealing with heavy themes, does in fact have a summer time light feel to it and as you bopping around to dense lyrics but all equipped with perfect pop hooks. 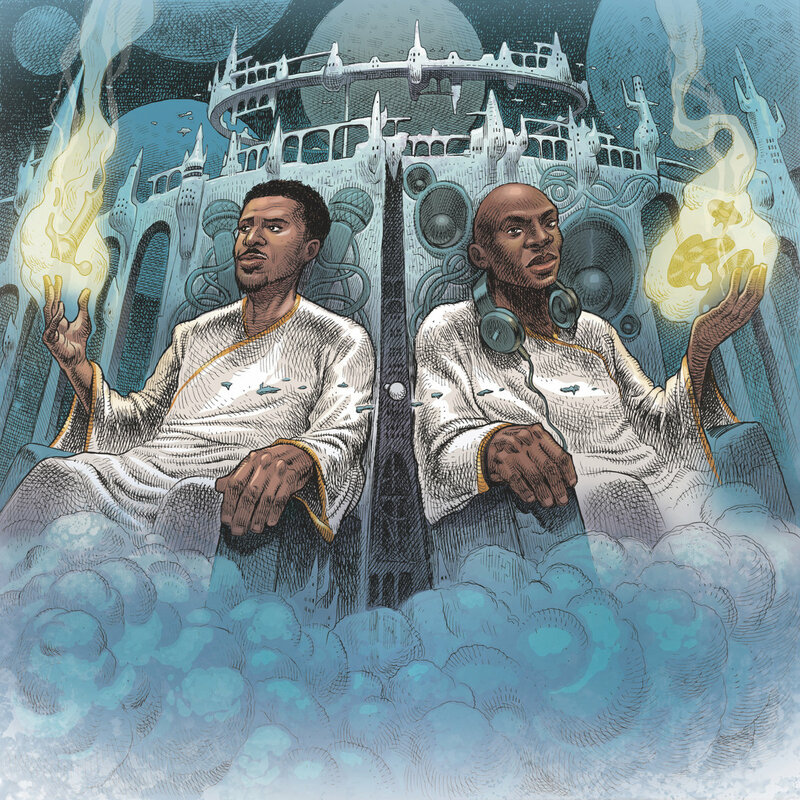 Blu & Nottz - "Gods in Spirit, Titans in the Flesh"
"Gods in Spirit, Titans in the Flesh" is the combination of both of them in one package bringing fans the 90s throwback hip-hop vibe of boom bap and soul. The songs were reorganized in a much more logical song order telling the story of their underground musical dominance while bringing in couple new songs to the mix that were not featured on either EP. The Good, The Bad, and The Queen - "Merrie Land"
The supergroup of Blur / Gorillaz member Damon Albarn, The Clash's Paul Simonon, The Verve's Simon Tong, and Fela drummer Tony Allen return with their second album in 11 years. 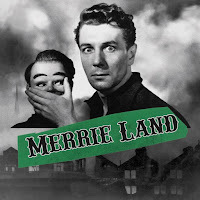 Unlike its 2007 predecessor, "Merrie Land" does not feature production by Danger Mouse instead behind the decks was long-time David Bowie producer Tony Visconti. The album is a love letter to England but unlike their self-titled debut, it isn't about the doom and gloom aspect of growing up in the kingdom but honoring the fallen soldiers who fought for the monarchy during World War I. Perfectly timed to be released during the 100th anniversary of the end of the first Great War, the supergroup show their appreciation in song. We know we haven't been updating for most of 2018 and there is good reason for it. November is usually the time we celebrate an anniversary of this website, which I started in my parents basement in 2006. It is also the time I felt was perfect to say goodbye. Officially A Yuppie has evolved and grew into something that I didn't think possible. While the time working and putting everything into creating Officially A Yuppie was a massive adventure, it since got harder to do as I got older and holding down adult responsibilities. The ride was all worth it as were the sleepless nights and stress, it taught me a lot and was one of the best learning experiences I could have ever asked for. With that, it is time I call time on this project. It sorta feels like when a band goes on "indefinite hiatus" and you don't know when it they will be back but they aren't breaking up. I can assure you the love for music will never die, in fact, we will return each year with at least a Top 10, honorable mentions, and League of Their Own list as we did when the site first launched. In fact, we will do that in the coming weeks for 2018. Maybe there will be a band that we have to talk about or a gig or an album. Whatever the case may be, the site isn't shutting down but will be inactive until we feel like coming out of "retirement" for something. Above all else, I just want to say thanks for reading, thanks for listening, thanks for keeping us going and that also goes for the musicians, publicists, managers, labels, and industry folk that saw us as an outlet to speak to. Until next time, thanks for the last 12 years. I wouldn't trade it for anything.